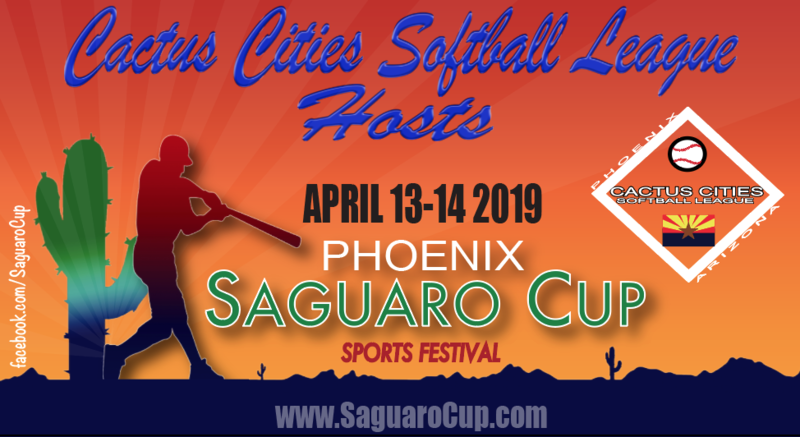 Welcome to Saguaro Cup 2019! Our goal is to facilitate an outstanding tournament experience to all participating teams. Deadline to register and pay is March 30, 2019 and cost of the tournament is $425. 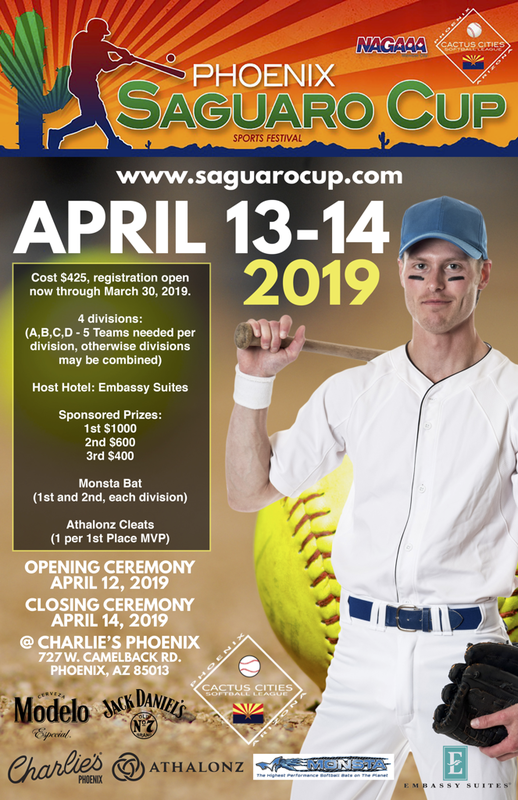 Saguaro Cup will be implementing the new NAGAAA 2019 Ratings this year. If you have any questions in regards to the new ratings please reach out to your local commissioner or email the tournament director for help. If you have any questions or suggestions on how we can better your experience please do not hesitate to reach out to me using my contact information below. Opening party at Charlies Monsta bats Drawing for 2 bats. Must be present to win. Closing party at Charlies One pair of shoes Drawing. Must be present to win. 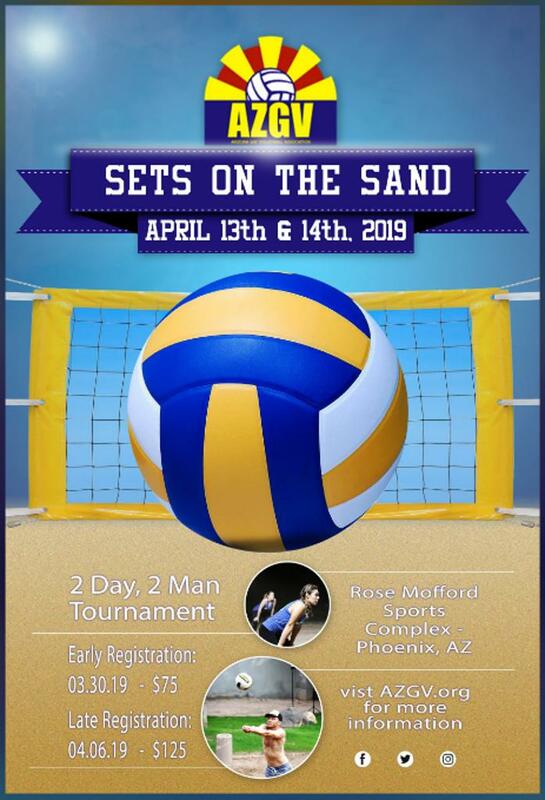 Arizona Gay Volleyball is partnering with the Cactus Cities Softball League to offer a 2-man Sand Volleyball tournament on Saturday and Sunday as well. Click on the link for information and to register. 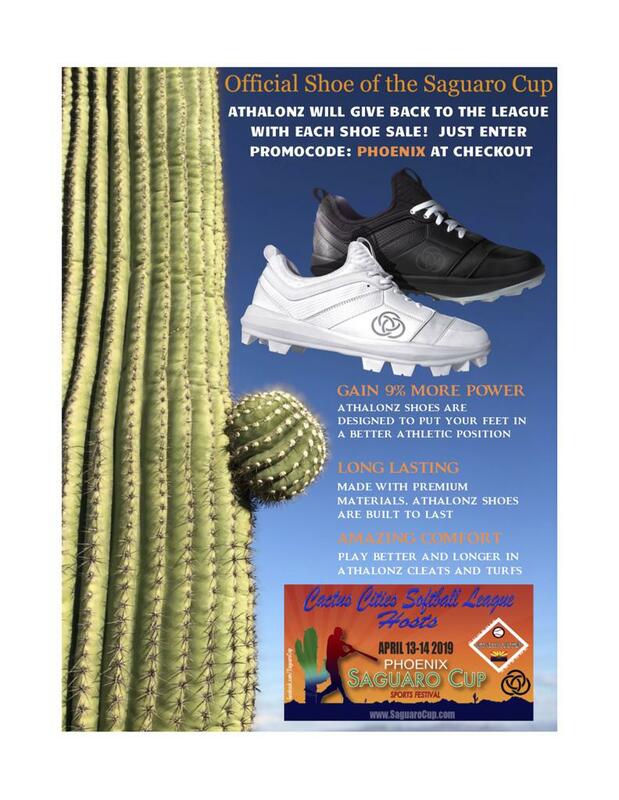 ©2019 Saguaro Cup / SportsEngine. All Rights Reserved.